Expand your toolkit of mindfulness techniques with a training. 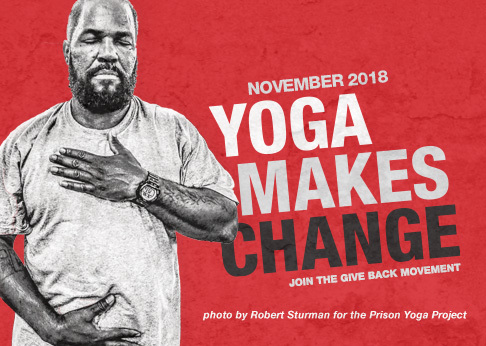 Our evidence-based and clinically proven partner programs give teachers a strong framework for bringing yoga and mindfulness techniques to underserved communities. Find a yoga service or yoga therapy training in your area, and learn how you can help others to find a calm and steady body and mind. Attend an event in collaboration with Give Back Yoga. Find Give Back Yoga all over the country – from festivals to local donation classes. Learn more about our 108 Partner Studio Program to host your own event.